In addition, they present five case studies that illustrate aspects and elements of applied matrix management in forests. The case studies cover a wide variety of conservation planning and management issues from North America, South America, and Australia, ranging from relatively intact forest ecosystems to an intensively managed plantation. Conserving Forest Biodiversity presents strategies for enhancing matrix management that can play a vital role in the development of more effective approaches to maintaining forest biodiversity. 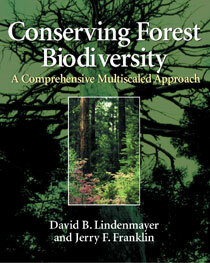 It examines the key issues and gives practical guidelines for sustained forest management, highlighting the critical role of the matrix for scientists, managers, decisionmakers, and other stakeholders involved in efforts to sustain biodiversity and ecosystem processes in forest landscapes.